The life and reign of Louis d’Outremer were part of the slow dying of the Carolingian monarchy in what is now France. After the Emperor Charlemagne died in 814 his empire broke up and three kingdoms emerged, a western Francia, an eastern one and a middle one which included the Low Countries and Switzerland. West Frankish rulers like Charles the Fat and Louis the Stammerer in the ninth and tenth centuries struggled against the local warlords, while the Danes colonised Normandy and marauding Magyar horsemen from Hungary brought havoc and destruction as far west as Paris, Orléans and Tours. Louis IV was born in 921, son of Charles III, the Simple. The baby’s mother was an English princess, Eadgifu, a daughter of Edward the Elder of Wessex and sister of his successor, Athelstan. Another of Athelstan’s sisters, Eadhild, was married to Hugh the Great, Duke of the Franks and Count of Paris, who dominated most of the area between the Seine and the Loire. Louis was still a baby when his mother fled with him to England after Raoul of Burgundy had seized the throne, and he grew up at Athelstan’s court, hence his nickname, ‘from across the sea’. 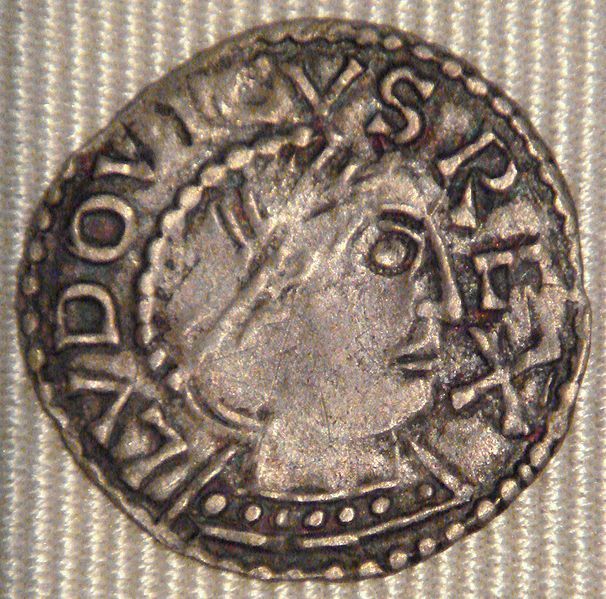 Charles III was a prisoner until his death in 929. Raoul of Burgundy died in 936 and Hugh the Great took the lead in bringing Louis back from England, aged around fifteen, apparently in the hope that he would make a useful puppet. Louis landed at Boulogne and was crowned at Laon. Hugh the Great tried to keep Louis under his thumb, but the young king proved to be no puppet and struggled bravely against incessant revolts and intrigues by Hugh the Great and other Frankish nobles. It was an impossible task, though he did manage to make an alliance with Otto I of the East Frankish kingdom, a future Holy Roman Emperor who had married yet another of Athelstan’s sisters. Louis was also helped by the English. Athelstan sent an English fleet to his aid at one point, though all it did was ravage parts of the Frankish coast. In 945 the Normans caught Louis in an ambush and handed him over to Hugh the Great, who kept him prisoner for a time. In a council presided over by the papal legate in 948, Louis offered to settle his dispute with Hugh in single combat, and Hugh, who failed to appear, was excommunicated. Hugh made peace finally in 951, but Louis died in his early thirties, at Rheims, as the result of a fall from his horse. He was succeeded by his son Lothair and grandson Louis V, whose death aged twenty in 987 leaving no heir ended the line of Charlemagne. This left the door open for the Capet dynasty, descended from Hugh the Great, to rule France for the next 400 years.